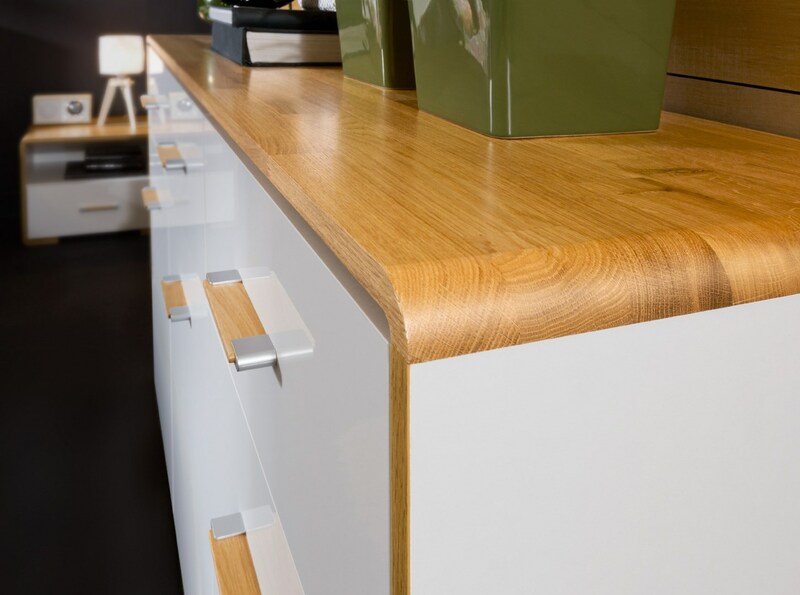 A com­bi­na­tion of modern sty­le and tra­di­tion by adding natu­ral oak. This is ano­ther novel­ty from the Black Red Whi­te fur­ni­tu­re manu­fac­tu­rer. 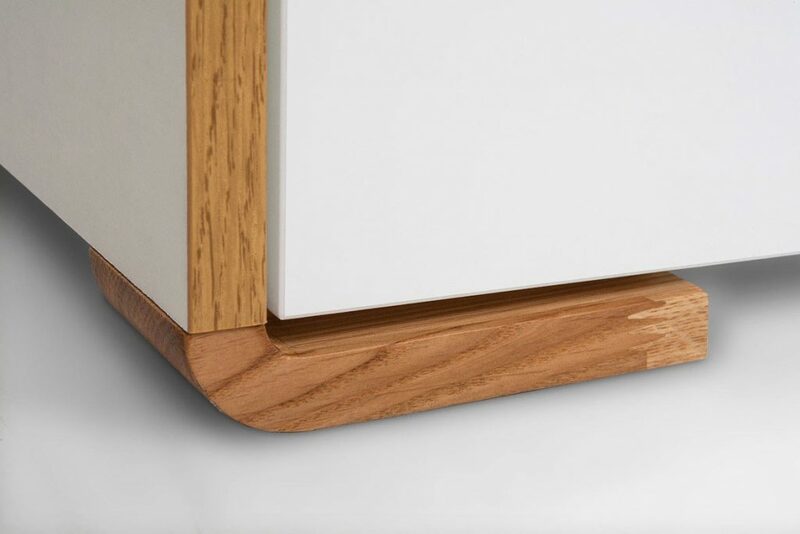 The sys­tem ful­ly reflects the natu­ral beau­ty of oak wood used on fur­ni­tu­re tops. Con­tra­sts with high-gloss whi­te-colo­red fronts. The who­le discre­etly com­ple­ments the func­tio­nal han­dles made of wood and metal, thanks to which you gain conve­nient access to sto­red items. 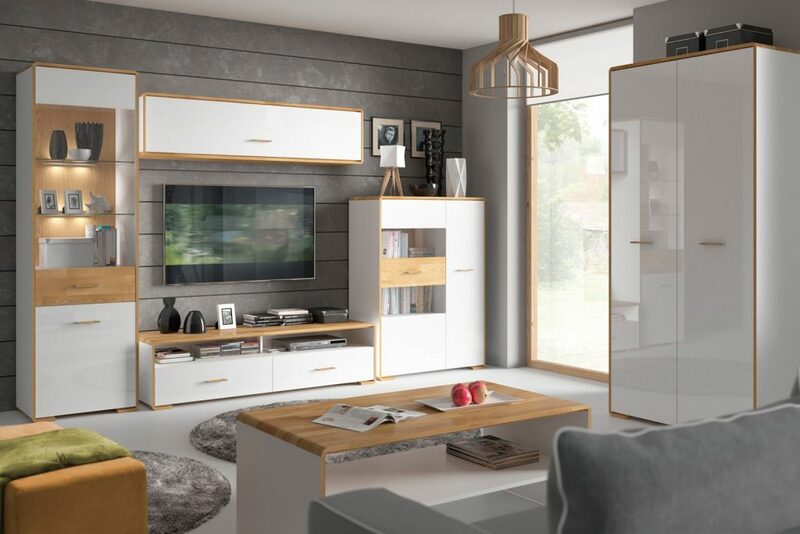 With Bari fur­ni­tu­re, you can suc­cess­ful­ly arran­ge a dining room, living room or bedro­om, thanks to any com­bi­na­tion of indi­vi­du­al ele­ments. Cho­ose fur­ni­tu­re in this sty­le from dres­sers, cabi­nets and cabi­nets. The dining room will be com­ple­men­ted by an ele­gant table and cha­irs. In the bedro­om, cho­ose a com­for­ta­ble bed and spa­cio­us war­dro­bes. The trans­pa­rent appe­aran­ce of the glass, tem­pe­red glass, empha­si­zes the extra­or­di­na­ry beau­ty of this fur­ni­tu­re, thanks to which they are not only beau­ti­ful, but also safe. A modern accent is used in the inte­rior of the LED ligh­ting. Meble BRW w UK.